Joy Mangano. She invented the Miracle Mop. But as David O. Russell's latest film will tell you, there's so much more to the story that you don't know! 20th Century Fox has debuted a new trailer for this upcoming biopic entitled Joy. Jennifer Lawrence stars with Robert De Niro, Bradley Cooper and more. 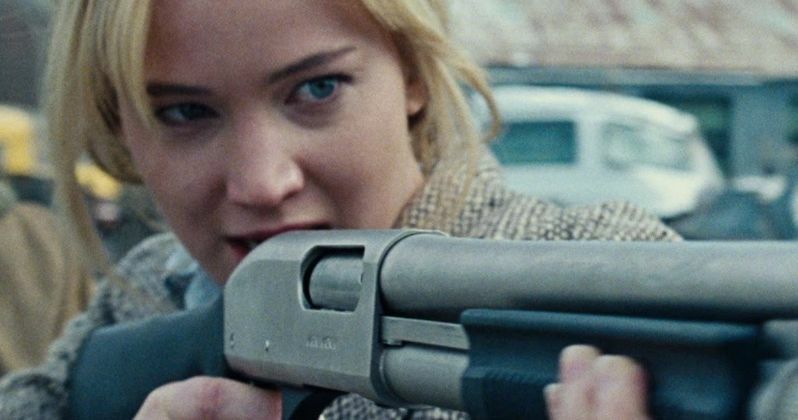 Joy is coming to theaters this Christmas, and promises to be an Oscar contender. Jennifer Lawrence and Bradley Cooper headline Joy, having already appeared in three movies together. This autobiographical drama will be the pair's fourth outing, proving that they truly love collaborating on the big screen. The film is not only noteworthy for once again pairing two of today's biggest stars. It also marks the third collaboration between the pair, co-star Robert De Niro, and director David O. Russell. Also appearing in the movie are Edgar Ramirez, Isabella Rossellini, Diane Ladd and Virginia Madsen. Silver Linings Playbook is notable for being the first movie to star Jennifer Lawrence and Bradley Cooper together. They're chemistry proved to be so combustible, and amazing that David O. Russell turned around and hired them for his next project, 2013's American Hustle. The pair then went off on their own and starred in the logging drama Serena, which recently made it's debut on Netflix. The pair don't seem to be tired of each other yet, and it's possible that we'll get even more collaborations in the future. Joy is opening Christmas Day, and promises to have a lot of competition. It will be following the release of Star Wars: The Force Awakens two weeks earlier, and arrives on the same day as such eagerly-awaited movies as Alvin and The Chipmunks: The Road Chip, The Hateful Eight, Will Smith's Concussion, the Point Break remake and Leonardo DiCaprio's The Revenant. Check out the latest trailer, along with a new photo gallery before the film hits in two months.